Time and time again we come across companies who have one objective for their site redesign: drive more traffic to the site. However, a site design does not drive traffic. Advertising campaigns drive traffic. This is why, when it comes to a redesign, the focus should be on conversions, not traffic. While traffic is critical to a web site’s success, it certainly should not be the primary or only goal. Sheer traffic numbers or large increases in pageviews don’t mean much if there is no action being taken by those visitors. In order to get a better idea of whether your redesign was a success, conversion tracking is key. Without conversions, traffic numbers can only get you so far. 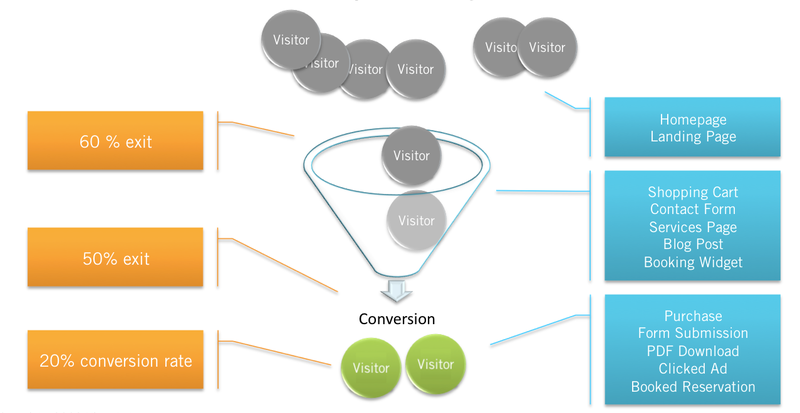 Determining ROI based on the number of visitors is shallow and of low value. You can iterate on a web site design to optimize conversions, but you can’t iterate on that design to optimize traffic (that’s advertising’s job). Once the strategy shifts to a focus on conversions, only then can you optimize your web site to get more of what you want from your visitors.